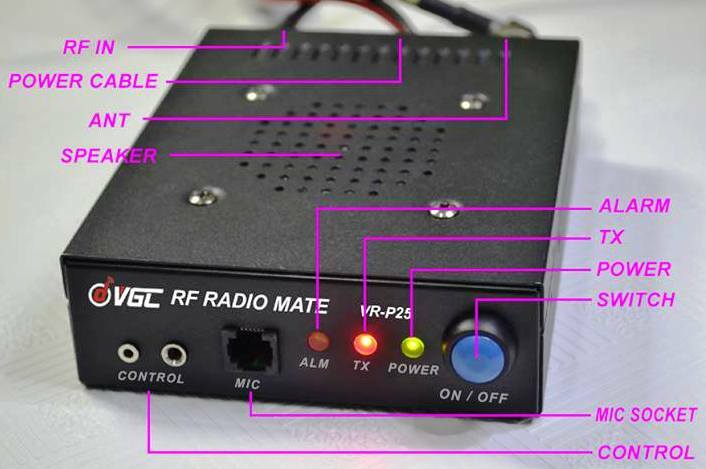 VR-P25 is a portable, lightweight, Wide coverage RF booster amplifier for Handheld Radio equipment, proprietary and emerging waveforms. 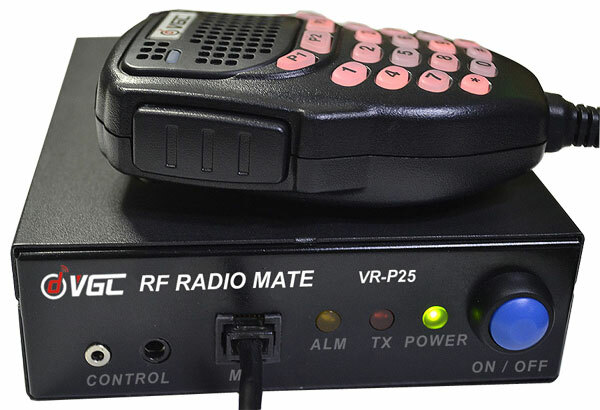 Dual mode for Digital and Analog Radio . Automatic recognition of digital and analog systems. 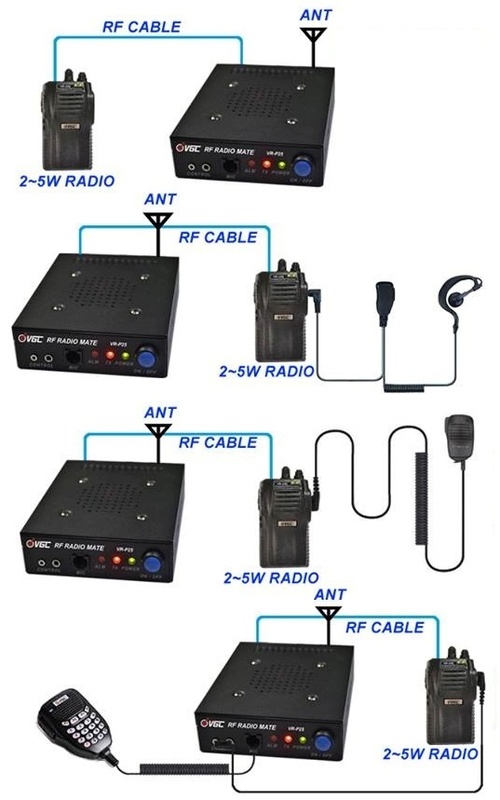 Use for DMR, dPMR, D-STAR, C4FM, etc. High output power up to 25 watts. Input power from 2 to 5 watts. 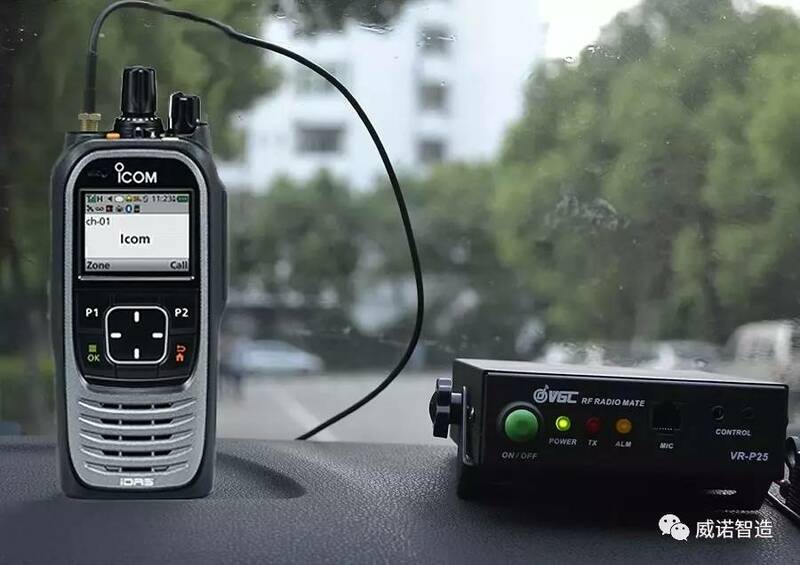 With 2 to 5 Watts Handheld Radio input and covers the frequency band of VHF or UHF . Small size: This amplifier’s size makes it the perfect companion for held operation without the added weight. Includes Voltage Spike Suppression. Over Temperature Protection. RF sensing. Automatic Power Control (APC), Harmonic Filters. Built-in speaker and microphone socket. Status indicator Lets you know the working status.